Michael Wydra moved to San Diego from Chicago in 1967 at the age of 13 and absorbed himself in the game of golf immediately. While at the University of San Diego High School (now known as Cathedral High School), Mike held a monthly pass that allowed students access to both Torrey Pines Golf Club courses for only $1.50 per month. He later joined the San Diego Junior Golf Association to compete in tournaments in addition to those he played for his high school team, where he was “first man” two out of the three years he competed. As a high school senior, he qualified for the Southern California High School Finals, the US Junior Boys Championship, Junior Americas’ Cup Matches, and the Junior World Championship. Mike Wydra elected to attend the University of California, San Diego in 1971 and played as the men’s team “first man” all four years. He won the National Association of Intercollegiate Athletics Regional in 1973 and went to the National Championship, shooting the low round of the event (68) and finishing in the top 20. Mike had a second place finish at the Southern California Intercollegiate Championship at Torrey Pines in 1975. 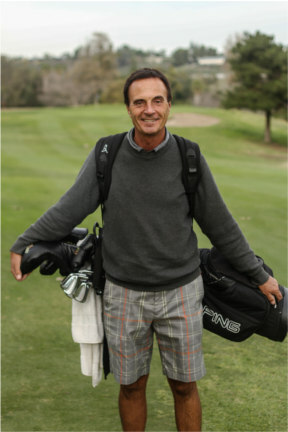 He graduated later that year, and played competitively through 1982, earning wins at the Torrey Pines Club Championship (1975), Chula Vista City Championship (1978), and taking second place at the San Diego and Costa Mesa Championships as an amateur. He also made the quarterfinals of the California State Amateur at Pebble Beach in two consecutive years (1977-1978). Mike turned pro in September of 1978. He won 5 Golden State mini-tour events, and the 1980 San Diego County Open at Torrey Pines with a four round total of ten under par. 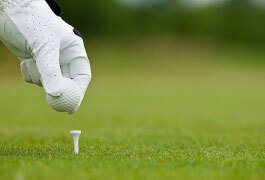 He finished 5th at the Cottonwood Golf Club County Open the following year, with a -11 total. In 1981, he went to finals of PGA Tour Qualifying Tournament at Pinehurst #6, and missed getting his tour card by only 5 shots. Mike accepted the position of head coach of the UC San Diego Men’s Golf team in December of 1979, and was married the same year. Since beginning as head coach, Mike has lead his team to post-season NCAA play every season. He instructed the Individual National Champion in 1987 and the National Championship Team in 1993. His team has had 13 top-five finishes in NCAA National Championships, including five second-place finishes. In 1995, Coach Mike became the director of the Nike Junior Golf Camp at Torrey Pines/La Jolla, and it quickly became one of Nike’s most popular and successful Summer programs. At the week-long resident camp, juniors aged 8 to 18 play some of San Diego’s best courses and enjoy evening entertainment. In 2011, Coach Mike Wydra was elected into the Hall of Fame for the Golf Coaches Association of America. In addition to coaching two Junior World Champions, giving over 50,000 private lessons, and playing Torrey Pines South over 2,500 times, Mike has raised three daughters with his wife of 30 years, Terrilee. Schedule A Lesson With Mike Today!